Rock veterans Kiss are giving a concert in our city as a part of their farewell 'End of the Road' tour. 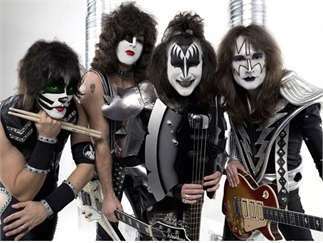 Current band members are Paul Stanley, Gene Simmons, Tommy Thayer, and Eric Singer. According to Wikipedia, Kiss is one of the best-selling bands of all time, having sold more than 100 million records worldwide. In 2014 the group was inducted into the Rock and Roll Hall of Fame.